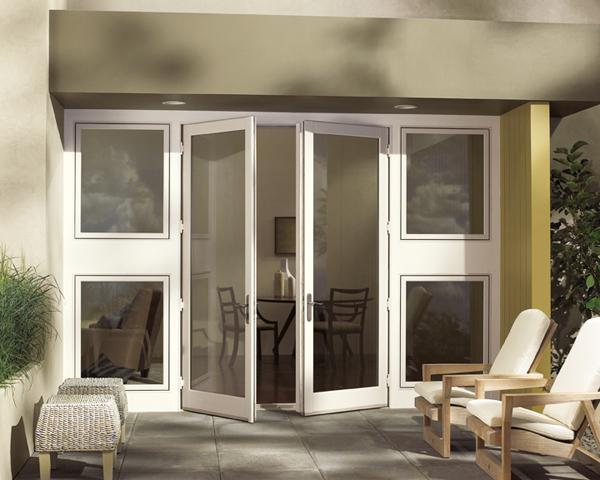 Glass patio doors have an array of features that can be beneficial to virtually any homeowner. Not only will you get a large, clear view of your back yard, you’ll also greatly improve the amount of natural light in your kitchen, living room, or dining room. 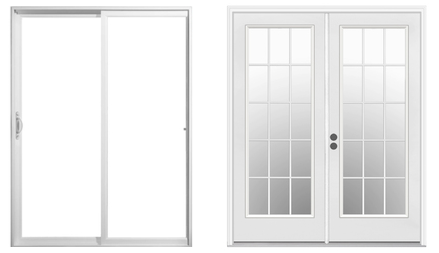 Best of all – glass patio doors come in a wide variety of styles, so you can complement any decor. Whether you invest in a sliding patio door, a single hinged door, or French doors, you’ll add style to both the inside of your home and your homers outdoor curb appeal. Plus we guarantee you’ll enjoy the easy access you’ll have to the outdoors. In just one motion, you can bring a burst of fresh air and ventilation into your home. We carry a variety of glass options for our patio doors, including specialty designer glass that can be etched for added elegance or frosted for added security. If you’re interested in a new glass patio door, talk to one of our experts today.